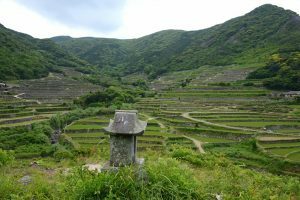 （1/13）Hidden Christians in the Nagasaki region maintained village-based faith organisations (Kumi). （2/13）They transformed their organisational structures so that religious leaders conducted Christian ceremonies and other events without priest. （3/13）Hidden Christians nurtured a distinctive religious system which was based on concealment and secrecy, preventing their secret faith from being detected by others. 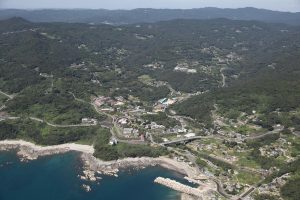 （4/13）For example, they venerated the mountains and islands that had been sacred sites for Buddhists and Shinto practitioners (Kasuga Village and Sacred Places in Hirado: components 2 and 3). （5/13）They revered devotional tools that looked like daily commodities at first glance (Sakitsu Village in Amakusa: component 4). （6/13）They kept and venerated icons of the Virgin Mary and other Christian devotional items in secret (Shitsu Village in Sotome: component 5). （7/13）They secretly enshrined early Japanese Catholics in Shinto shrines and prayed there (Ono Village in Sotome: component 6). （8/13）In the 18th century, Hidden Christians in the Nagasaki region hid their faith under their religious system in a relatively stable manner, compared to the past. （9/13）Furthermore, the Shogunate did not officially admit that Christians were among the people. （10/13）Even when some Hidden Christians were revealed, the authorities treated their beliefs as a ‘different religion’ unless Hidden Christians professed their prohibited beliefs publicly. （11/13）The authorities had a policy of ‘tacit permission’ and did not punish Hidden Christians unless they disturbed the public order. （13/13）the Hidden Christians enjoyed a relatively stable life and nurtured their religious tradition to continue their religious faith while coexisting with the pre-existing communities and their established religions. During the ban on Christianity, Hidden Christians in the Nagasaki region maintained village-based faith organisations (Kumi) that grew out of the religious organisations which had taken root in each village since the 16th century, and transformed their organisational structures so that they could function as the foundation for the continuation of their Christian faith. By means of these organisations, religious leaders managed to conduct rituals, teach the catechism, and follow the liturgical calendar: the Mizukata performed baptisms instead of missionaries, and the Chokata administrated the observance of the liturgical calendar. Hidden Christians nurtured a distinctive religious system which was seemingly vernacular, while continuing rituals, ceremonies, and daily prayers. 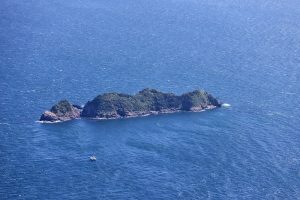 More specifically, they venerated a mountain that had been worshiped since before the introduction of Christianity to Japan as well as an island on which early Catholics had been executed in Kasuga Village and Sacred Places in Hirado. In Sakitsu Village in Amakusa, they substituted daily commodities for Christian devotional tools. 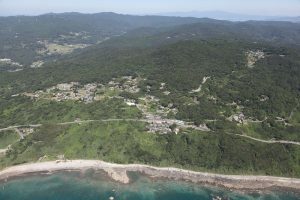 In Shitsu Village in Sotome, they kept icons of the Virgin Mary and other Christian devotional items in secret, and in Ono Village in Sotome they secretly enshrined Japanese Catholics in Shinto shrines. The fact that large-scale crackdowns on Hidden Christians were no longer reported during the 18th century indicates that Hidden Christians in the Nagasaki region successfully hid their faith under their religious system and that this system was effectively passing on their faith in a relatively stable manner, compared to the past. Furthermore, the Shogunate did not officially admit that Christians were among the people of Urakami when an incident called the Urakami Ichiban Kuzure occurred in 1790, after a century-long period of stability for Hidden Christians. The Shogunate played down the situation to prevent it from escalating into serious social disorder, which had occurred during the Kori Kuzure in the past. When the Amakusa Kuzure occurred in 1805, the Shogunate also determined that the beliefs of the people of Sakitsu were a ‘different religion’, not Christianity. These facts indicate that Japanese authorities in the 18th century had a policy of ‘tacit permission’ and that they did not punish Hidden Christians unless they disturbed the public order, even when it was found that they were present among the common people. While maintaining this delicate balance between the ‘tacit permission’ policy of the authorities and the strategy of ‘concealment and secrecy’ practised by Hidden Christians, the Hidden Christians continued their religious faith while still living within the pre-existing communities and their established religions. At this village, Hidden Christians were able to practise their faith by secretly revering sacred icons.